Communication is the medium through which we float our ideas, opinions and values. If the communication process is not effective, then our ideas and opinions hold no impact. There is a direct conjunction between how we portray ourselves and how effective we are in our communication. This is one of the major factors; stress is laid on the idea of effective communication. For any lay-man, confidence would mean a process where a person is capable to voice their opinion and present himself or his idea. But, on the contrary, communication is a very wide phenomenon, where voicing the opinion is just a part of it. This phenomenon presents communication as a function which reflects the personality of the person as a whole. It encompasses the flow of ideas and involves concepts such as perception, body-language, presentation and appearance. 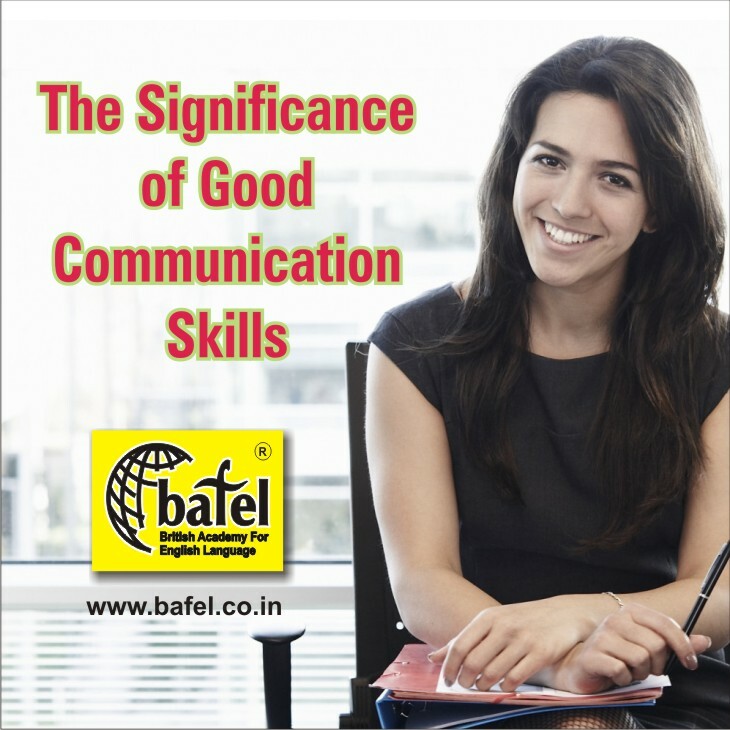 We at BAFEL have inculcated a complete study on the impacts and benefits of the communication and how these skills can be polished and presented in a better light with all of our students. Our dedicated team of teachers and professionals read and research on the various modules of effective communication so that they can share their knowledge with the students. There are varied communication patterns that exist on the international level and these patterns vary from culture to culture and community to community. If a person wishes to present themselves effectively throughout various cultures, they need to understand various cultural implications that work in conjunction with the communication process. For instance, language is one of the mediums of the communication process and there are many words that exist in different languages with different meanings. The research in this direction would help a person to understand these meanings and our teachers constantly work on this module. Makes a person “stand-out” – What makes celebrities popular and what makes the successful people special? The answer is that they possess qualities which make them “stand-out” from the crowd. It is associated with their personality that makes them shine out of the crowd; from the normal herd of people. But this begins with communication. Good communication starts with the process of initiating a conversation or presenting oneself in such a way that you are liked instantly. Once, you overcome the initial “ice-breaking” effectively, chances are that the rest of the communication would go in your favour. Instils Confidence – When you know that you are being liked by your audience or the person at the other end because of the way you communicate; you are bound to ooze a lot of confidence. The key to being successful in any field; whether a job or business is, confidence. Your confidence is what defines you as a person and what takes you forward. At BAFEL, we have been shaping personalities and instilling this confidence to go out and take the leap of success. Makes you “Socially-Acceptable” – When someone is willing to move out of the set pattern and move to a different place that has a completely different culture and language, the biggest fear that is encountered is that of being socially outcast. We fear that because we have been born with a different set of values and because we speak a different language, we would not be accepted into the new society easily. Well, it’s not that difficult when you know the nuances of good communication. The laws of communication are universal and all it takes is the understanding of these laws and how to implement them in your day-to-day life, and that’s it. Join BAFEL today to improve your Communication skills!